1954 Jaguar Mark VII Maintenance Blog: Gas Guzzler! The old girl has been consuming fuel at quite a high rate since we got her. I recently did some calculations and it was worse than I thought, she's drawing fuel faster than our old Rolls-Royce Silver Shadow with its 6¾ litre V8! The Mark VII's six cylinder engine is only a 3½ litre! The Jaguar's fuel consumption is 19.5 litres per 100 km (12 mpg) averaged over four refuels. The Rolls-Royce averaged 18.9 litres per 100 km (12.5 mpg) over the same period of time. We are about to do a couple of long trips in the Jaguar, one to the Hunter Valley (245 km / 150 mi) and to Parkes (260 km / 160 mi) so I though it a good time to check the tuning to see what's amiss. Was it running rich? What was the ignition system like? I started by removing the spark plugs. They were quite sooty for what appear to be fairly new plugs - so I gave them a clean up, re-gapped them as they appear to have not been set to the required 0.022" from new, and re-installed them. I then checked the points gap, they appeared to be on the required 0.012". They are in a crappy spot to work on, I've been spoilt in the past, Morris Minor distributors are in a very convenient location, even more so on the lovely side valve engine. The Rolls-Royce was typically easy V8 affair. Then I proceeded to check the ignition timing. It was perfectly set to 5°, unfortunately it had been set to after TDC, not before! And the last tune was performed by a "qualified" mechanic! Lucky us mere amateurs are on the case. As soon as I started advancing the timing, the engine ran quieter and idled smother. I think the strange exhaust sound I was hearing was actually late combustion occurring in the exhaust port. I set the timing to around 7° BTDC and took the old girl for a 20 km drive. She seems to pull better and has more low end torque. 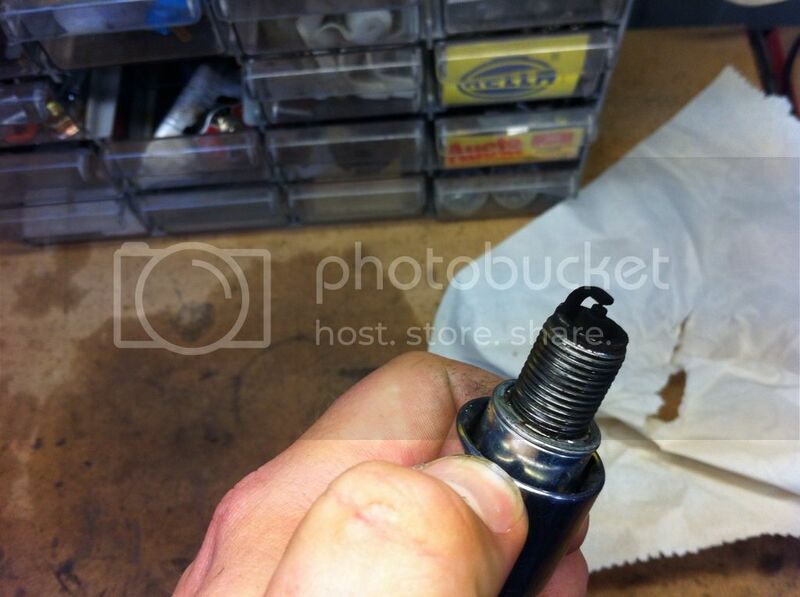 I checked the mixture of the front carburettor, if anything it was a little lean - not rich. I will leave adjusting the carburettors for another time. I will be interested in checking the petrol consumption now I have fixed the ignition timing.